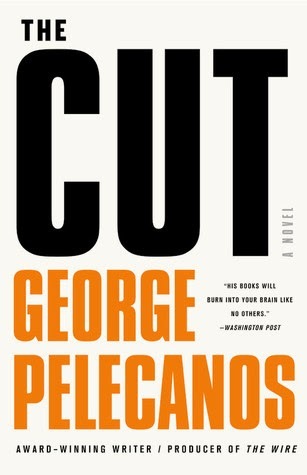 The Cut introduces Spero Lucas, a new protagonist from George Pelecanos, the creator of such venerable characters as Derek Strange and Nick Stefanos. And as much as I've enjoyed those other characters, I can't wait to read more books featuring this one. Spero Lucas is in his late twenties, an ex-Marine recently returned home to Washington, D.C. from the war in Iraq. He grew up in a racially mixed household where his Greek-American parents adopted three of their four children. He's devoted to the memory of his late father, who was clearly the strongest influence in his life; he visits his mother regularly and is close to his brother, Leo, a school teacher. His relations with his other two siblings are strained. Like many other young people who spent much of their twenties in the military service, Spero is anxious to make up for lost time, and he has an eye for attractive women, even though he still may have some things to learn about relating to them. He remains fit and strong and is an avid cyclist and kayaker. Lucas has no desire to be confined to an office and prefers working for himself. He's now an investigator, working principally for a defense attorney, but he takes on the occasional job recovering stolen property. His cut is forty-percent of whatever he recovers, which makes him a bargain relative to the legendary Travis McGee who always took fifty percent. As the book opens, an imprisoned drug dealer hires Spero to recover three marijuana shipments that have been stolen from the D.C. crew that he runs from his cell. The crew cleverly Fed-Exes the dope to addresses where then know that the occupants will be away for the day. They then track the shipments on their smart phones and swoop in to pick them off the porches minutes after Fed Ex drops them off. However, someone's managed to beat the crew to three deliveries within a matter of weeks, and the drug lord wants the thieves tracked down and the dope recovered. Lucas has no moral qualms about people who smoke weed--he smokes the occasional joint himself--and so takes the job. Given the value of the shipments involved, it could mean a huge payday for him. Naturally, Lucas is now plunged into a world of seedy, amoral drug dealers, and before long, what seemed like a relatively simple investigation has become a complicated and very dangerous morass. A number of innocent parties get caught in the crossfire, and there's a very real chance that Spero's first major case may also be his last. As usual, Pelecanos is at his best describing the D.C. environs that he knows and loves so well. There are, as always, a large number of musical references, most of them even more obscure than usual. (Or perhaps it just seems so to this reader who doesn't listen to much reggae. Happily, though, I am up to speed on The Hold Steady.) The dialogue is pitch perfect; the characters are all well-developed and the story carries you right along. I've been a huge fan of Pelecanos for years and, as I suggested above, I'm really looking forward to reading more of Spero Lucas.